Nintendo of Japan has launched a teaser website for what is now pretty much confirmed to be an upcoming new Tingle game for DS. There's really not much to do on it yet - You can get Chiko's mum (A character from Freshly-Picked Tingle's Rosy Rupeeland) to tell you your fortune by shuffling some cards and then picking one, although most fortunes pretty much translate to "Keep checking this website for updates". Aside from that, if you click on the poster, you can send an e-card to a friend, and if you click on the little TV you'll find out that Nintendo will be releasing a trailer for the game on the 18th - Next Thursday. Stay tuned! I deliberately avoided this game for a long time. I can't believe it sold that well to warrant a sequel. 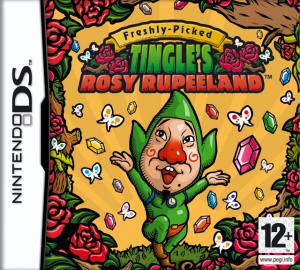 While i wouldn't mind seeing a localization of the Tingle Balloon Fight game, I'm against a sequel to his proper DS adventure. NOE seem to be more flexible with releases (E.G. Disaster and the original DS Tingle) so I'm betting Europe could get this new game. Whether the US will though, is another thing. To any Europeans, what did you think of the first game? It has a few annoying gameplay flaws, but besides that I love it. It's got some of the best boss battles in the Zelda series. We should be thankful that Nintendo is still producing stuff like this, TBH. I agree it's nice to see stuff like this still, I just don't like Tingle. Huh. Well I enjoyed the first game. 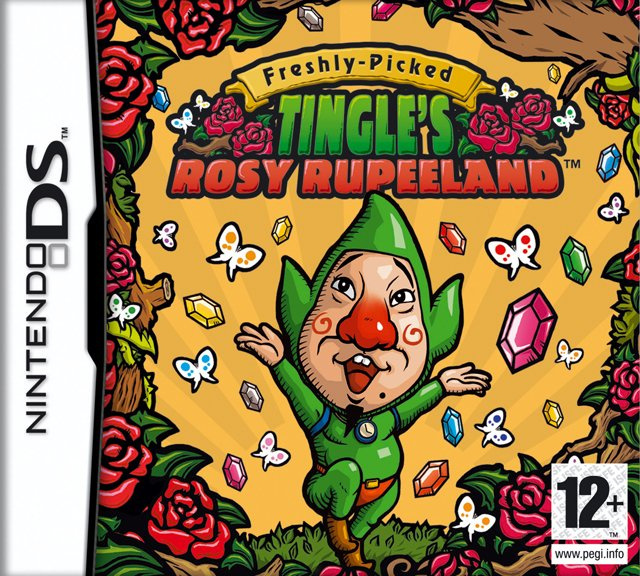 I bought a new copy of Freshly-Picked Tingle's Rosy Rupeeland yesterday on E-Bay for $39.99 including free shipping and handling. It sounded like a really good deal to me so I couldn't pass it up. It almost sounds too good to be true but I took the chance anyway because I really wanted this game. Now I just have to wait for the game to arrive and I hope everything turns out okay. I'm really glad they are making a sequel but I have a feeling that I'm going to have to import that game too. Tingle makes my kooloo go limp-ah. Forget a sequel, I want to see the first game appear in the US! Gosh darn it, Nintendo, release the first game in North America and Australia already! Anybody notice that Tingle's father is a huge, muscly, hairy swamp tour shack owner with a fondness for blurry monochrome pictures of living trees? Ugh is it even coming to the USA?